Save cash by purchasing a Marina travel package. Just select your favourite options and Expedia will do the rest. 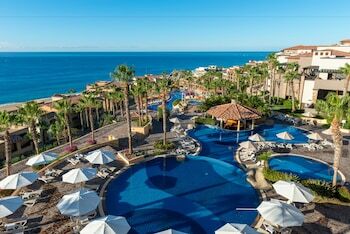 By securing a package deal on Expedia, you can save up to $200*. With more than 400 partner airlines and 321 000 worldwide properties for you to pick from on our international database, you'll have your dream holiday in no time! 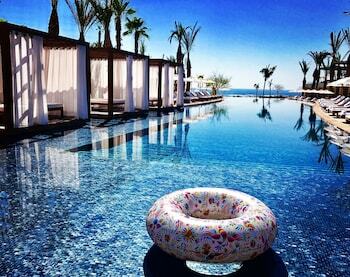 Unsure about your booking? You won't pay us a cancellation fee when you change almost any reservation. We have all the hot sightseeing tips for your forthcoming trip to Marina. Grab your travel planner and prepare to start filling your itinerary. There isn't a more fantastic place to base yourself than Marina. World-famous attractions such as Land's End and The Arch will be just moments away. Lover's Beach is a well-known sight that's just outside your door. So why not put on your sneakers and sunglasses and mosey on down there? Whether you're looking for general supplies, new clothes or a holiday keepsake, you'll find it at Plaza Bonita Mall. With a variety of outlets within easy reach, get ready to shop 'til you drop! 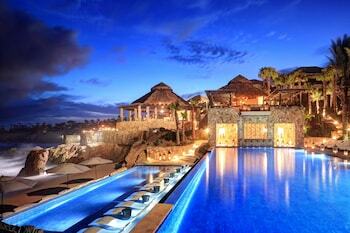 Travellers have an excellent selection of things to do in this destination. Dolphins are widely considered some of the cleverest animals on Earth. A day out at Cabo Dolphins will offer you a greater insight into these majestic mammals. Still have time on your hands? Kite flying by the sea is an activity all the family can enjoy. 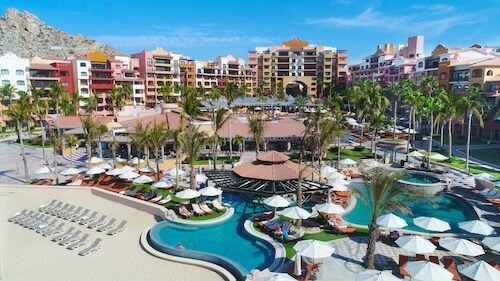 If it's a breezy day, why not try launching one at Solmar Beach? Life is either a wonderful adventure or nothing at all, so why not throw yourself into some new and thrilling experiences? There are lots of terrific things to do in Marina. Why don't you purchase a Zipline Tour & Sunset Party Cruise Combo or a Sunset Dinner Cruise with Open Bar? Take a look at our Marina things to do page for a complete list. 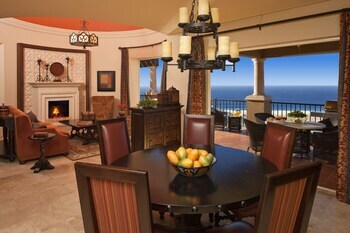 Seeking out cheap holidays or luxury getaways in Marina? Unsure where to lay your head? Don't worry — there are no less than 91 Expedia accommodations on offer. Start looking now and decide on the most suitable one for you! 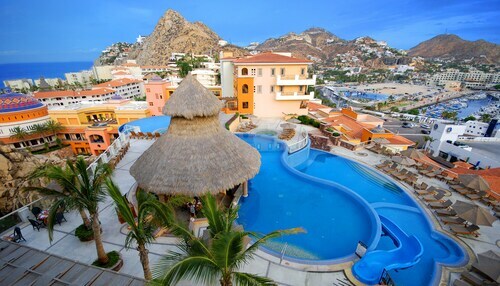 There's no need to blow your entire holiday budget on a place to crash. 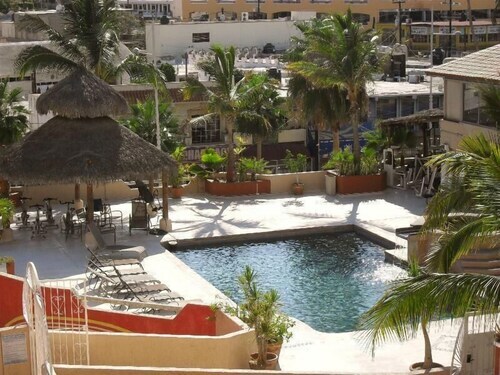 You'll discover decent beds with an affordable price tag at the Seven Crown Express & Suites Cabo San Lucas (Blvd Lazaro Cardenas esq. 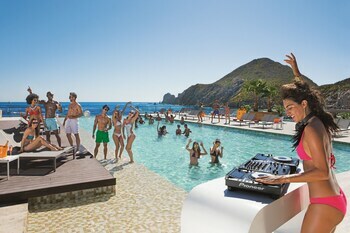 16 de Sept) and the Cabo Inn Hotel (20 De Noviembre Y Leona Vicario). 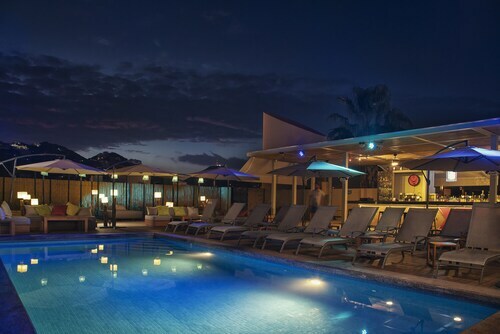 You'll have several high-end hotels within easy reach too. 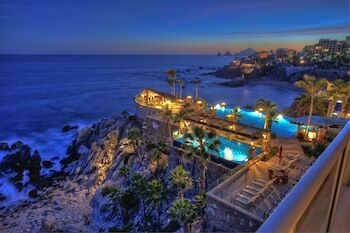 Inject a bit of luxury into your retreat when you stay at the Hacienda Beach Club & Residences (El Medano Ejidal) or The Resort at Pedregal (Camino Del Mar 1). As they say in the real estate industry, location is key! 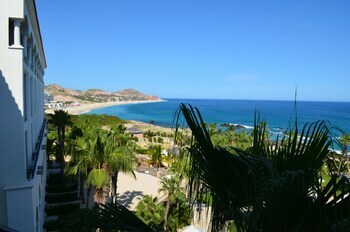 The Grand Solmar Lands End Resort and Spa and the Solmar Resort are both a short walk from The Arch. You'll be sure to find this a blessing when it comes time to check out this unmissable attraction. 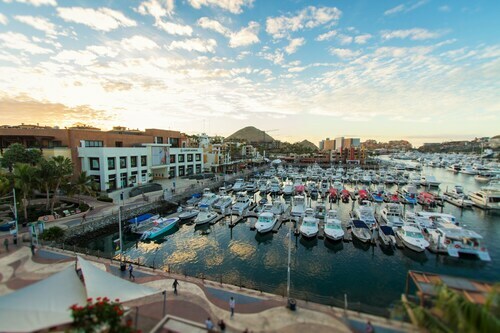 From the very minute you finally step off the plane at Los Cabos International Airport (SJD), you'll know your well-deserved trip to Marina is underway at last! Well, the neighbourhood centre is still 25 miles (40 km) away, but close enough. I love how attentive the staff was and how they made sure everything was ok. I have seriously never had such great service all around from everyone. As a single person the bed was fine but for two the bed is against the wall? and no reading light. Tv was clear up at ceiling above the refer and hard to see. View of harbor was great. People at front desk and office were very nice and helpful. I would rent again. 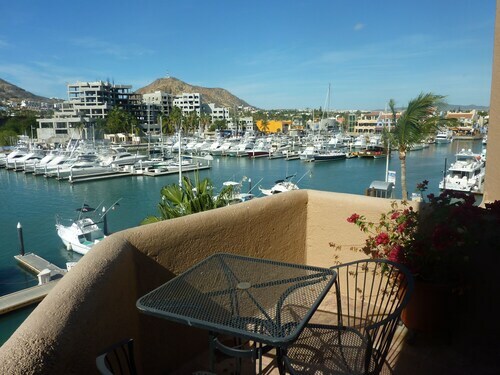 Fair priced 2 bedroom two bath condo.Very clean, close to marina! Tullamarine - Los Cabos Intl.